Gauge 26 stitches, 38 rows to 10 cm/4"
Washing Machine wash at 30°C (86°F) max. 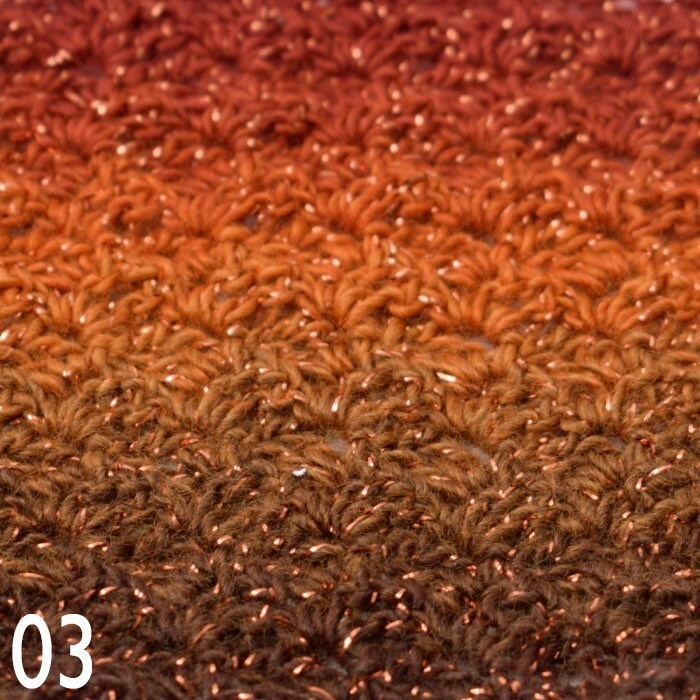 Bumbo Moonlight is an exciting acrylic yarn, with a beautiful metallic finish. 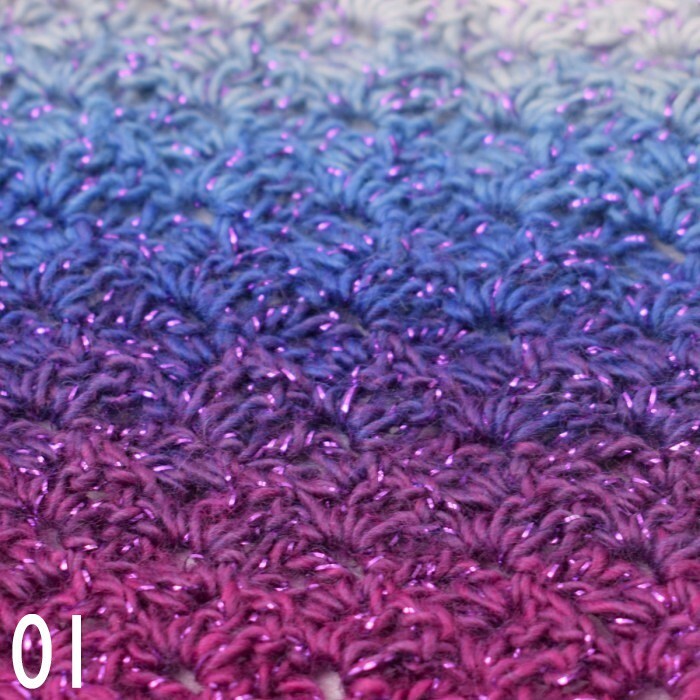 The yarn contains a metallic-like thread which gives a nice shimmer. The way in which Bumbo Moonlight is dyed means that the beautiful color changes happen naturally as you work up the yarn. 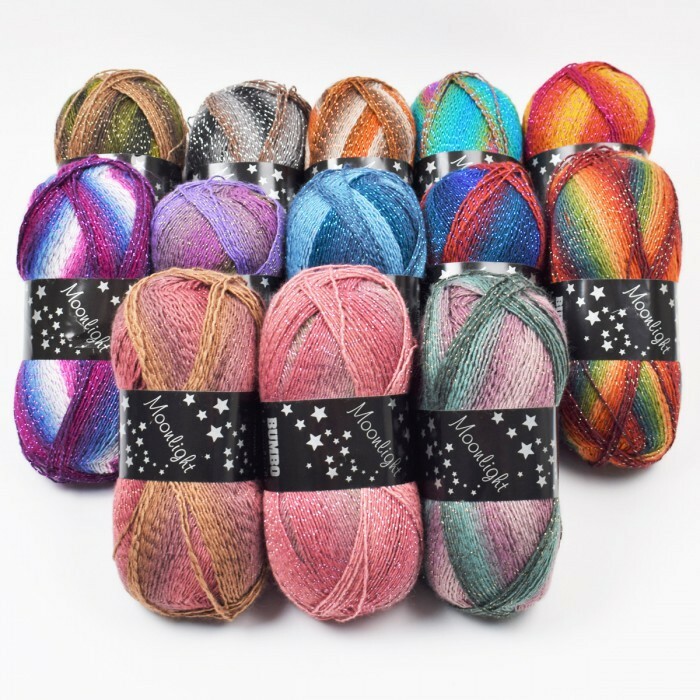 Each skein is unique, and so colours may vary slightly. Please note: Mayflower has informed us that, unfortunately, a little mistake happened when printing the label. 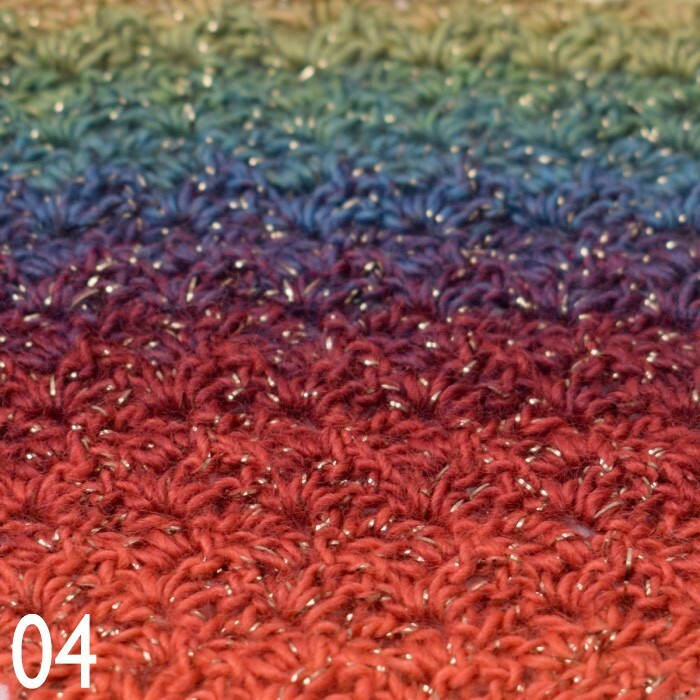 The correct gauge is 26 stitches, 38 rows to 10 cm/4". Excellent product, beautiful colours which have given a great effect on my garment, very easy to work with compared to other similar products. 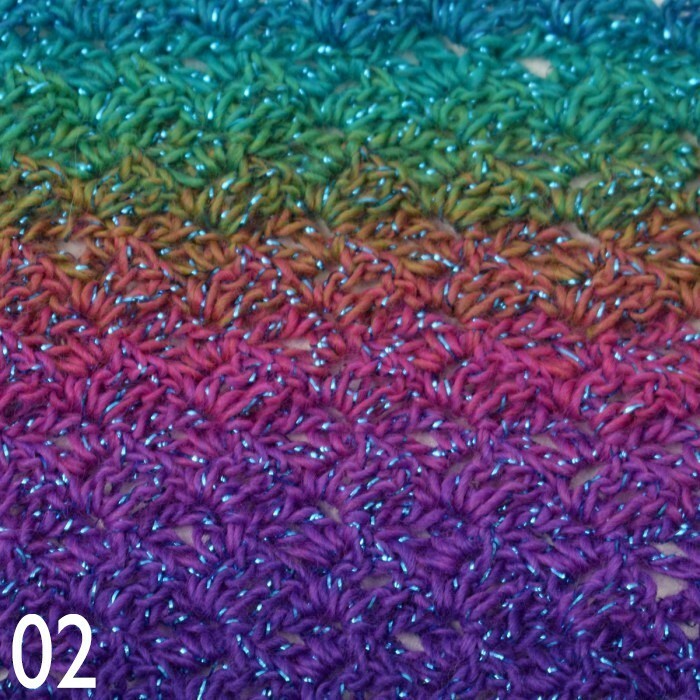 Will definitely buy again if I have a project that requires this type of yarn. I love the way that this yarn knits and crochets up. It is easy to work with and the colour designs look stunning. 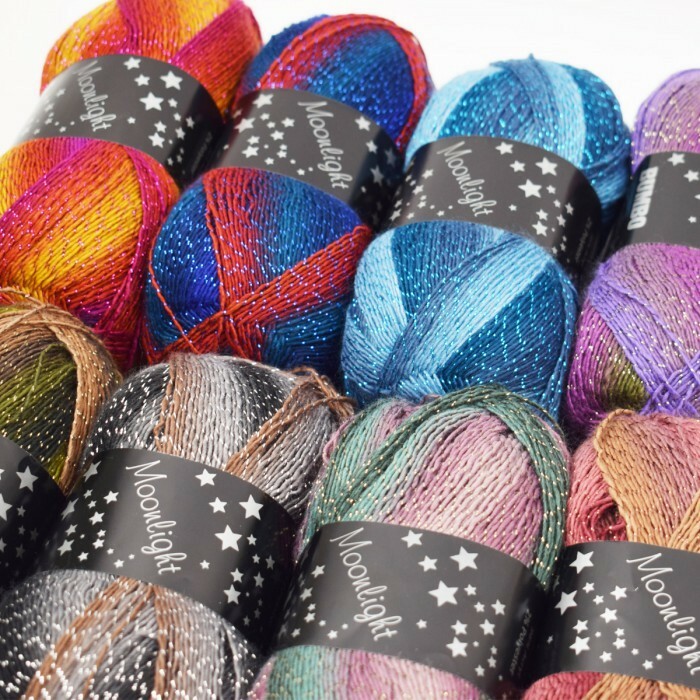 Want to make something look special; this is the yarn for you.